"Bleach" is the hit manga by Tite Kubo that has taken the comic book and animation world for a thrilling, action-packed, supernatural battle adventure. Fans come from all countries, ages, and even genders. 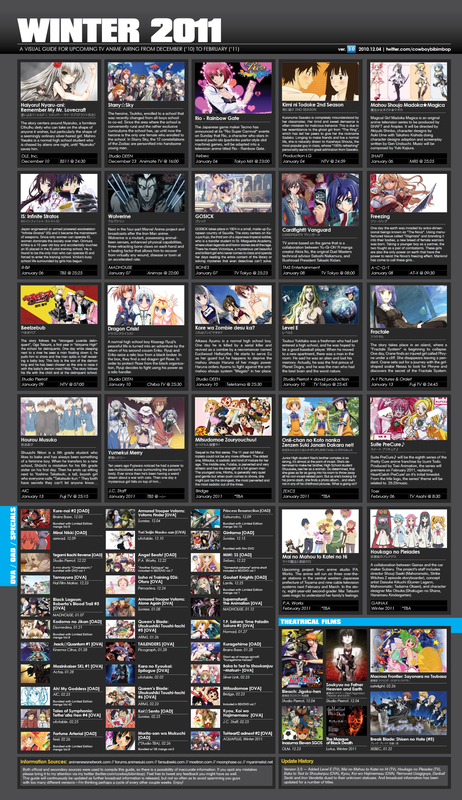 However, the series is mostly popular with girls and young women. 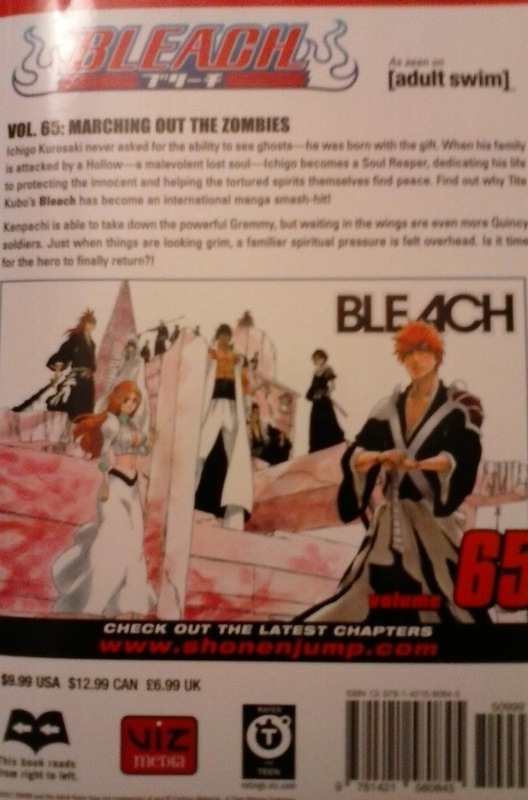 "Bleach" follows the fictional events and story of Ichigo Kurosaki who started out as a fifteen year old high-school freshman that could interact with apparitions of "Karakura Town", the suburban town where he lives. Ichigo met Rukia Kuchiki who transferred all of her "Soul Reaper" power to him both at great cost to her reputation and so that he could save her life in that moment. 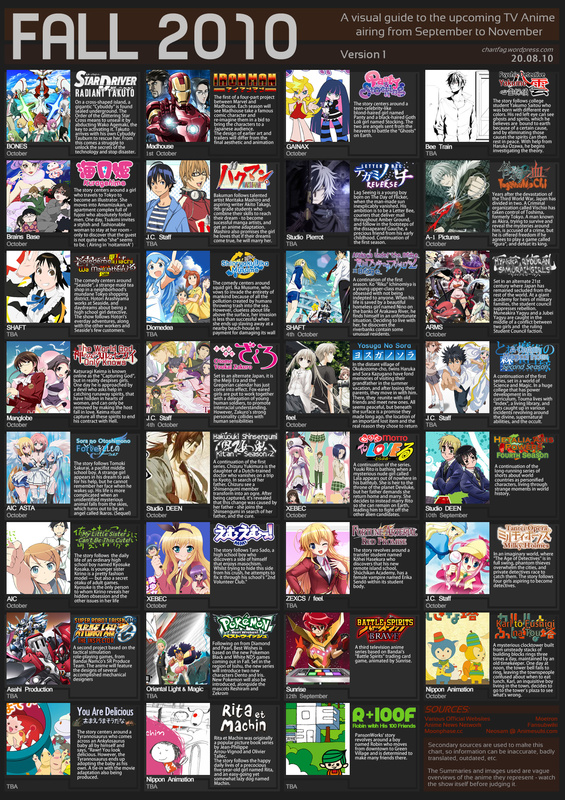 Eventually the story in the manga post-hocs that of the anime and this manga is still running in North America. 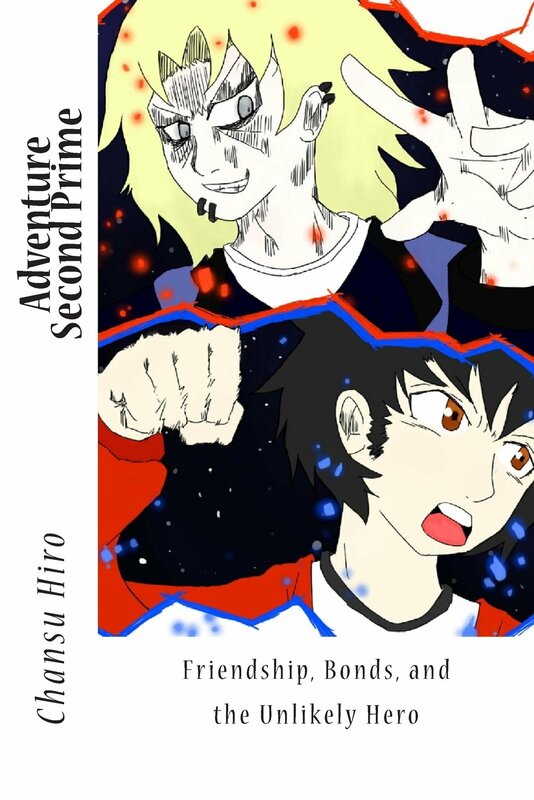 In the manga vol. 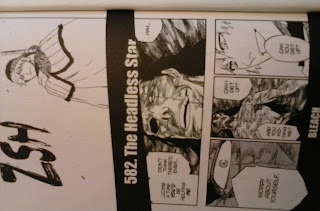 65 of "Bleach", the reader sees Zaraki passed out without his eyes closed, defeated by the "quincy" opponents he was battling with. They're happy-go-lucky seeming girlish women (kind of), that actually disposed of Zaraki's "strongest sword" that he finally mastered, for battle. (Get your mind out of you know where lol). Jokes aside, Zaraki's fighting techniques are, or were, slower than Ichigo's from the beginning, so it makes sense that he lost four-on-one with those chicks. Early on, Ichigo shows up and wants to fight, saying to Zaraki that he, "Came to help...". In review, I think that Ichigo's character hasn't been radically developed by vol. 65 or he would have learned how to talk to Zaraki's character on a more equal level, maybe Ichigo would even address Zaraki's more senior level "Soul Reaper" status than by a friendly kind of patronizing... 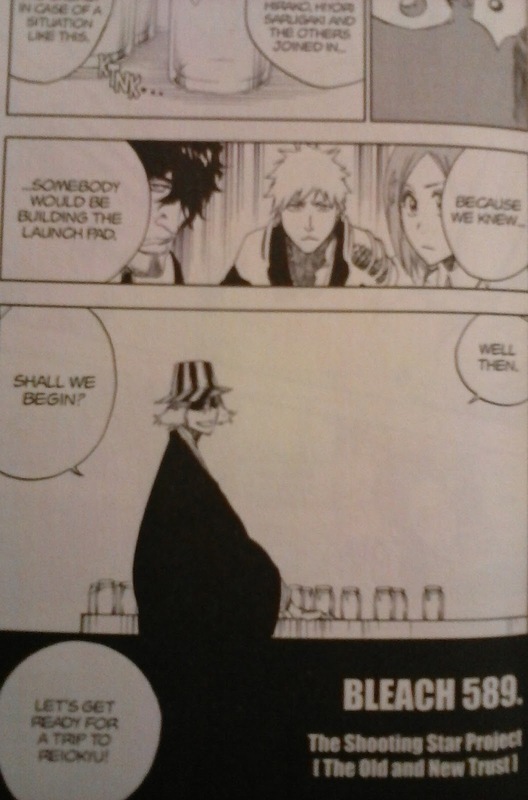 Either way, Kubo probably decided that it is in the best interest of the manga not to radically change Ichigo's personality. 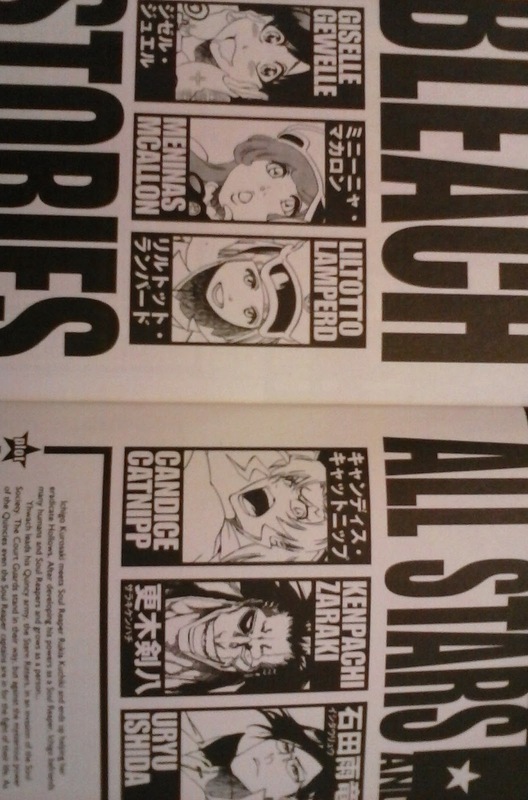 Not to reveal all of the contents of the volume, Ichigo takes on the four quincy chicks at once also, in a battle which shows the usual "Bleach" style onomatopoeia or sound effect speech graphics. 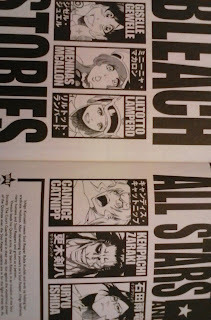 Bleach onomatopoeia are easy to follow probably easier than "Naruto" but not as interesting as "One Piece". Anyway, Ichigo fights and is caught in an awkward moment where he could have been defeated (not pictured). You'll have to read the volume for yourself. I believe, that's good enough reason to pick up a copy. Throughout the volume on a few sporadic pages, the story follows the antics of the current antagonist, "His Majesty", who seems to be a quincy male with "untold power". That's while Ichigo is spending his "battle energy" on the four girlish women (kind of) who work for "His Majesty". 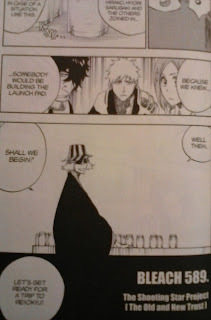 The antagonist follows Kubo's typical "Bleach" event progression formula where "they" are off-scene from the main sequence and also from the "protagonist. Then that antagonist is advancing in a separate plot that hasn't yet encountered any relevant opposing influence (to the antagonist plot). 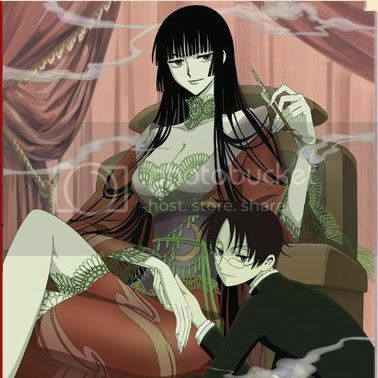 In other words, Kubo uses a popular anime / animation trope for the antagonist characters. I think, that for Kubo and "Bleach" it works and he hasn't really changed his author approach in terms of that formula. Go Kubo? 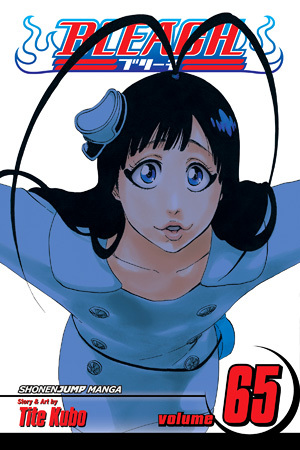 The characters and their idiosyncrasies are where Bleach changes or progresses in its story. That's where "Bleach" has made its great success. Then in addition, for vol. 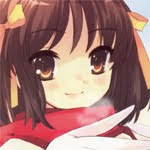 65, there's some funny jokes made by Urahara Kisuke (not pictured). 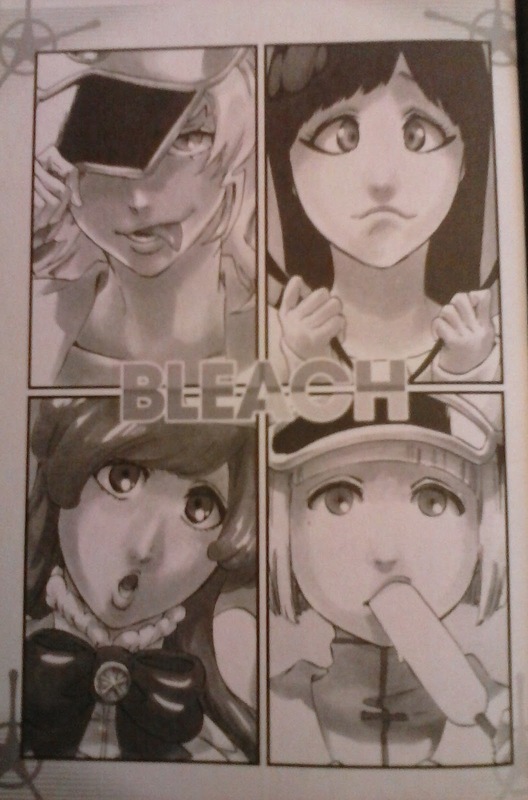 In review, there's good enough reason to pick up a copy of Bleach vol. 65 wherever and whenever, you want.